Spreadsheets and reporting tools can collect data, but it takes valuable time to combine and analyze that data. Make it easier for your users to make smarter business decisions with this powerful Cashflow Dashboard sample application, powered by Infragistics Windows Forms controls. 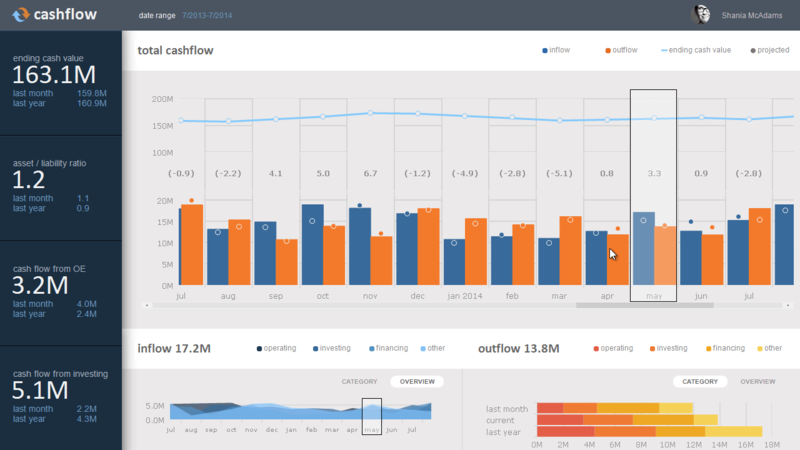 Featuring the grid, data chart, grid bag layout panel, label, and panel controls, this dashboard presents cashflow data in a modern, visually appealing way.